(CNN) - In a rebuke to the Trump administration on Russia, 11 Senate Republicans joined with Democrats to advance a measure Tuesday that would stop the Treasury Department from relaxing sanctions on three Russian companies with ties to oligarch Oleg Deripaska, a Kremlin ally. The Senate voted 57-42 to proceed to a resolution from Senate Minority Leader Chuck Schumer that would reverse the Trump administration's decision to lift sanctions on the firms, a vote Schumer forced under a provision in a 2017 Russia sanctions law. Sixty senators will be required to pass the resolution in a vote expected to be held on Wednesday. At least two Republicans would have to change their votes for the measure to pass. 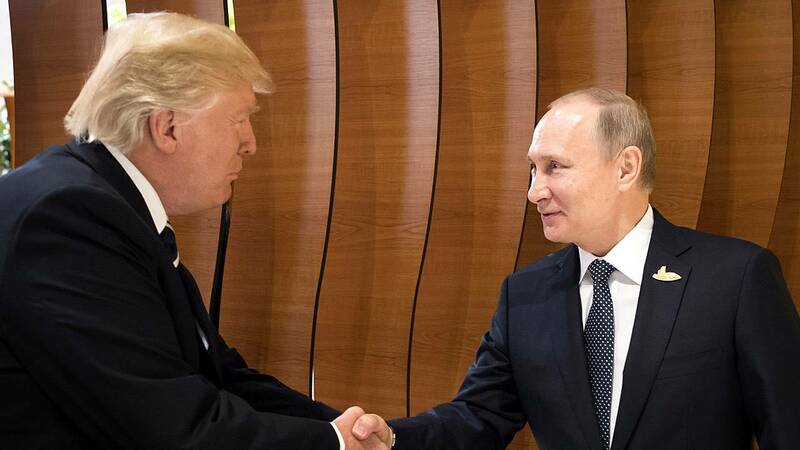 "We're only a few Republican votes short of the U.S. Senate telling Putin he can't run the show no matter what President Trump and his administration try to do," said Schumer, a New York Democrat. "If Republican Senators agree with Leader McConnell, who said that Putin is a 'thug' -- they'll vote yes tomorrow." Nearly a dozen Republicans were unconvinced by Mnuchin's pitch. They included Sens. Susan Collins of Maine and Cory Gardner of Colorado -- both up for re-election in 2020 -- as well as hawkish Sens. Tom Cotton of Arkansas and Marco Rubio of Florida. "I do disapprove of the easing of the sanctions because I think it sends the wrong message to Russia and to the oligarch -- a close ally of Mr. Putin, Oleg Deripaska -- who will in my judgment continue to maintain considerable control under the Treasury's plan," Collins said after the vote. Freshmen Republican Sens. Martha McSally of Arizona and Josh Hawley of Missouri also voted with the Democrats. The Republicans who flipped included Sen. John Kennedy of Louisiana -- even though Trump described him as "totally brilliant" and "my friend" during a visit Monday to New Orleans. When asked Tuesday why he voted against the administration on sanctions relief, Kennedy said: "Because the principal involved is a gangster." Sen. John Cornyn of Texas, a member of the GOP leadership who voted against advancing the Schumer resolution, was pleased the measure fell short of 60 votes because Republican leaders would have essentially lost control of the legislation. "I don't know exactly what's going to happen but as long as there are not 60 votes to conclude it, maybe that will force a negotiation on having a markup on tougher legislation in the Banking Committee and Foreign Relations Committee," he told CNN after the vote. "There are some legitimate concerns about whether the sanctions regime is tough enough to hold people like Oleg Deripaska from basically retaining control over this company," he said. But, he added, "If they can't get to 60, then they are out of luck. Since we're in the majority, we've got the chairmen of the committee, we have a little better ball control." One Democrat, Sen. Kirsten Gillibrand of New York, missed Tuesday's vote. Gillibrand was in New York to announce her presidential exploratory committee in an appearance on "The Late Show with Stephen Colbert." House Majority Leader Steny Hoyer, a Maryland Democrat, introduced a parallel resolution in the House on Tuesday, giving the Democrats -- who control that chamber -- the option to proceed ahead of Thursday's congressional review deadline. A Democratic aide said House leadership was still deciding how to proceed and watching to see what happens in the Senate.